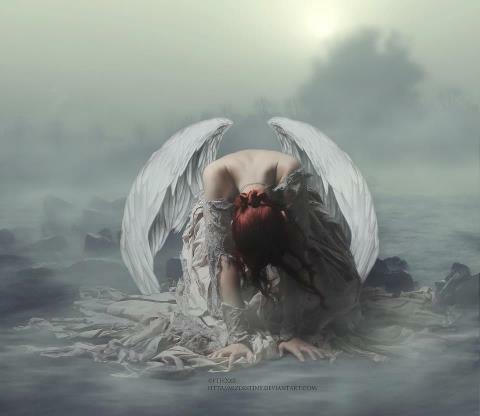 Iris lurched to her feet, wings heavy with sea water, exhaustion taking its toll. She’d wounded him, but not enough. As if summoned, the demon climbed from the water, powerful and beautiful, dark wings stretching behind him. Iris’s heart pounded as he strode to her side. That strong body had lain with hers that morning. Those lush lips had burned fire across her skin before fate set them in opposition. She was a Guardian now and he mustn’t win. She inclined her head, acknowledging the challenge.